Yesterday, Wednesday, November 6th, 2013, was my bestfriend’s birthday.. Her name is Siti Jihan. She’s my bestfriend since high school (1993). We both attended Sekolah Menengah Atas (SMA) Negeri 5, Bandung (SMA Negeri means state high school). We were at the same class (Physics-5). She was a quiet girl, and a bit hostile to anyone unknown to her. School mates called her Hani (pronounced like Honey), and I call her Bunnee–since she doesn’t like “y” as the ending of her name, so she prefers Bunnee rather than Bunny. And, she calls me Mip mip, or Miaw (means kitty or cat). We both like drawing a lot. And like you can guess, her mascott is little bunny rabbit holding an orange carrot. And my mascott is a cartoony cat named “Muscat”. We made these mascotts since high school. When we were about to graduate, Bunnee and I often go to the cinema together. Watch movies and share our passion in music. One of the memorable moment was when we watched “The Lion King”, we both cried at the scene where Mufasa killed on the Wilderbeast stampede. When the scene was intense, we both squezzed each other hand. And when we started to cry, quietly, we let go of our hands. After watching the movie, I told her, “You know, I cried on that Mufasa scene. That’s why I let go of your hand.” Surprisingly she answered, “What? Me too! That’s why I let go too.” Hahahaha.. Now every time we remember that moment, we felt silly. But it was a lovely memory for both of us. She taught me a lot about R&B music. I was always into R&B music. So, when I met her, we talked about music a lot. Her most fave was Kenneth “Babyface” Edmonds a lot. Mine was Boyz II Men and Janet Jackson. ^_^ Later on, she was into The Hanson *LOL* and Matisyahu. Okay, she’s my BFF, so I dare not laughed at it, when she told me she loved Hanson. I mean, come on, she could kill me. Hahahaha.. 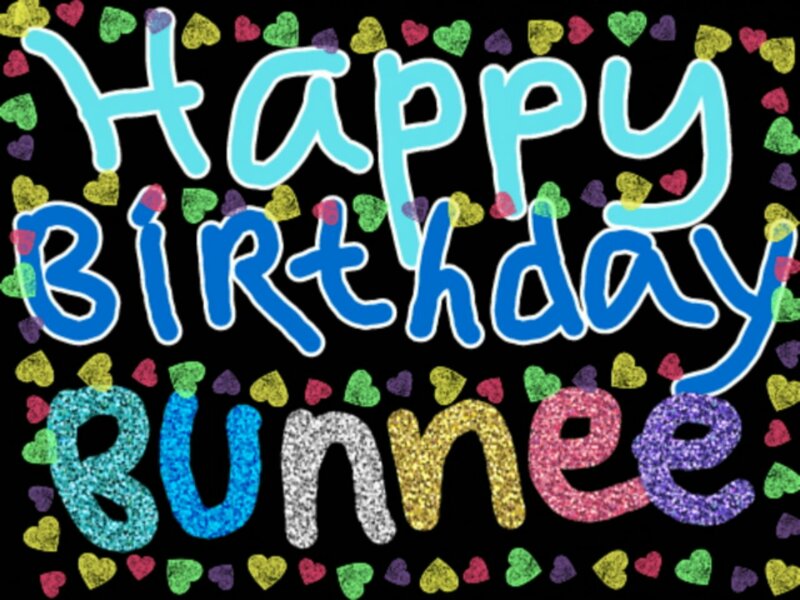 Since year 2000, Bunne is an architect. A talented one. She still lives in Bandung, with her parents. Oh, yeah, I forgot to say, she’s still single, and available. ^_^ By saying that, I didn’t mean bad. I must say, she stays single because she is such a devoted daughter to her parents. She helped her mom to take care of her father–who suffers alzheimer, and helped her schizophrenic big sister. She doesn’t like technology much. She once had multiply blog (because I asked her to) in order to “sell” her architectural designs and interior–which is her expertise, but then she didn’t use it. She doesn’t have facebook, no twitter, no android, no blackberry. But she did love Sony Ericsson because I promoted it to her. Hahaha… Yeah, I was not a Nokia person. I was a Sony Ericsson person! Now, since Sony and Ericsson went separate way, I started to use Blackberry and LG P970 android. (And now Lenovo S880). ^_^ Not Bunnee though. She kept using the Sony Xperia (it’s the last handheld I saw her with). Anyways! ^_^ Me and Bunne only contact each other by text messages and phone. Honestly speaking, I’m not so fond of getting and making phone calls, but I do love to call and/or receive her call, and talk to her on the phone. She’s the only person I can share all my stupid stories, jokes and laughter. Never once, in 20 years of our friendship, she ever judged me. Even though we were not always agree on something, and we were not always spending time together with each other, but we always enjoy our time together to the maximum. She’s there to see my first marriage life, she saw my children growing up, she listened to every story of my love-life, she attended my second marriage, and practically, she’s there more than half of my lifetime–I’m 36 now, and she has been my best friend for 20 years. My life was so dynamic, and hers is pretty much static. But we both love each other (wait.. not “that” kind of love!). We often think that we are really soul-sisters. And one more thing that seemed to validate our friendship is that my daughter looks so much like her! ^_^ And on her 37th birthday, I wish her to find a soulmate soon, get married and have many children who would look and act like me. Hahaha.. So, go hurry meet your soulmate, Bunnee, and give me many nephews and nieces!